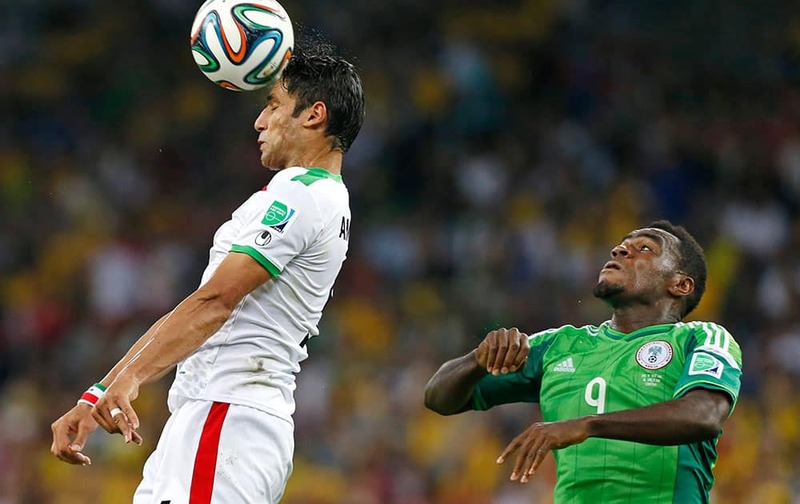 Iran's Amirhossein Sadeghi heads the ball in front of Nigeria's Emmanuel Emenike during the group F World Cup soccer match between Iran and Nigeria at the Arena da Baixada in Curitiba, Brazil. 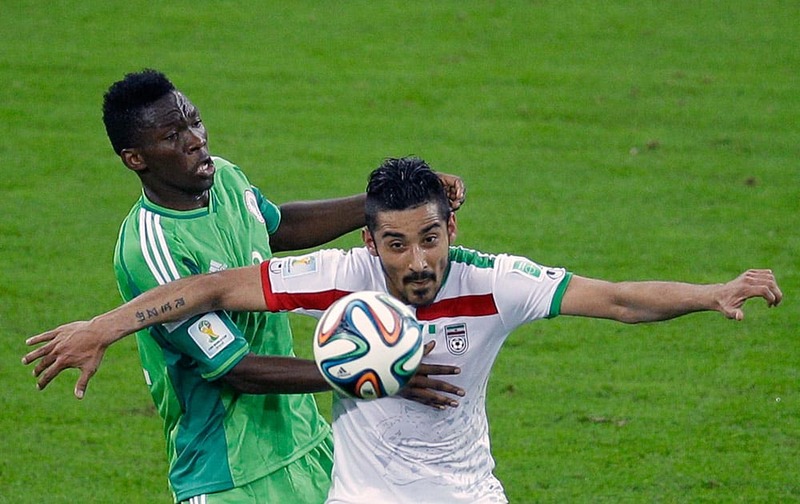 Nigeria's Kunle Odunlami, left, and Iran's Reza Ghoochannejhad challenge for the ball during the group F World Cup soccer match between Iran and Nigeria at the Arena da Baixada in Curitiba, Brazil. 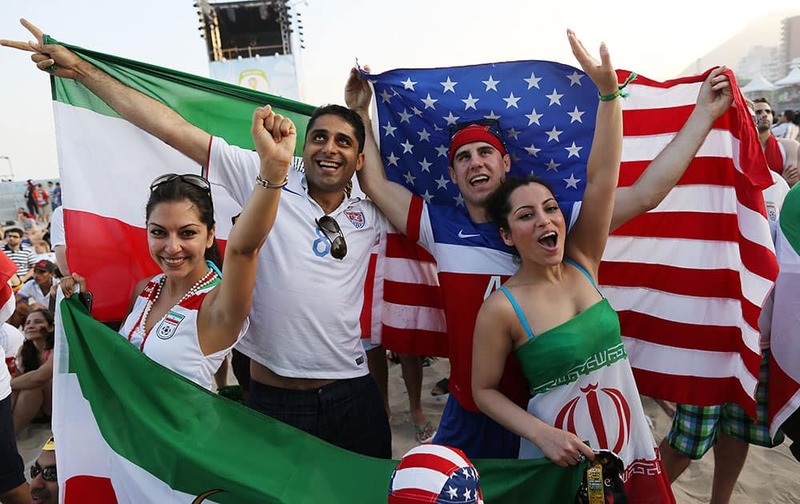 Soccer fans pose for a photo together, holding a US national flag, right, next to what was known as Iran's national flag, before the 1979 Revolution, during a live broadcast of the soccer World Cup match between Iran and Nigeria, inside the FIFA Fan Fest area on Copacabana beach, in Rio de Janeiro. 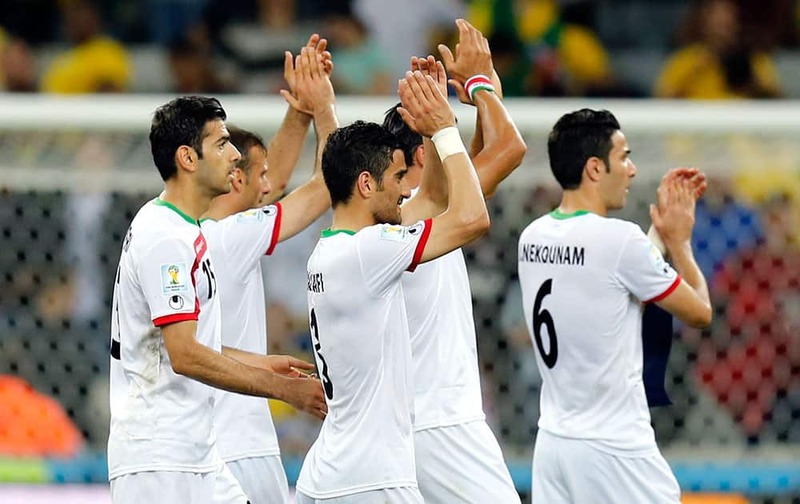 Iranian players applaud spectators following their 0-0 tie with Nigeria during the group F World Cup soccer match between Iran and Nigeria at the Arena da Baixada in Curitiba, Brazil. 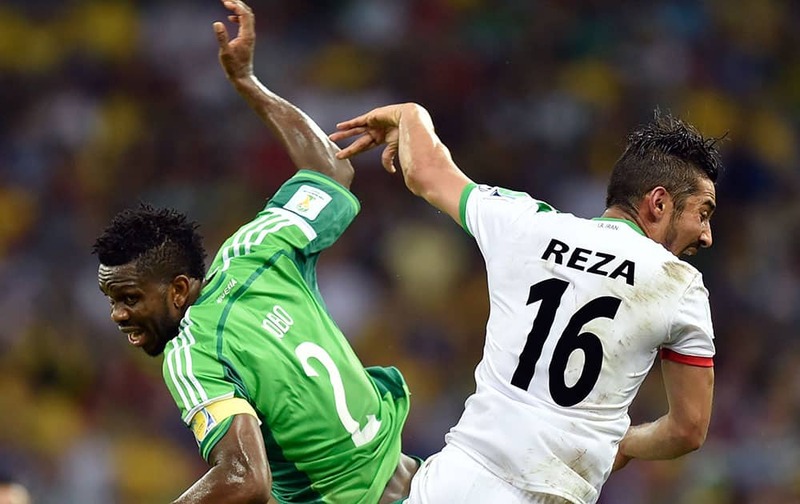 Nigeria's Joseph Yobo, left, challenges Iran's Reza Ghoochannejhad during the group F World Cup soccer match between Iran and Nigeria at the Arena da Baixada in Curitiba, Brazil. 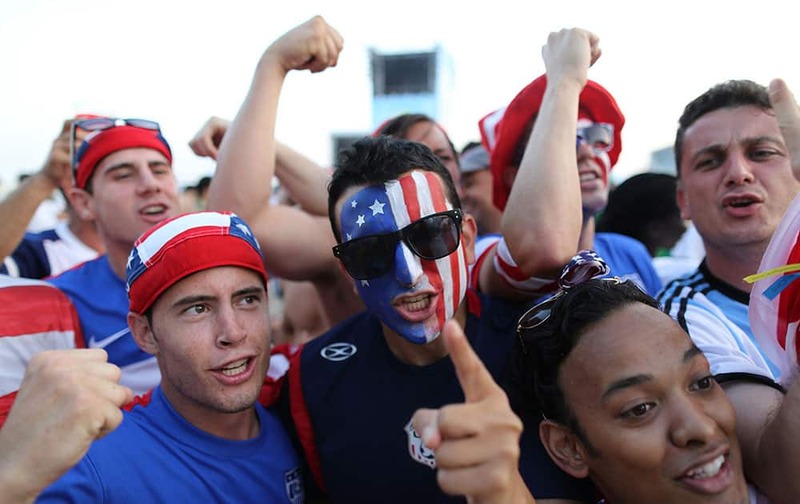 Americans soccer fans pose for the picture during a live broadcast of the soccer World Cup match between Iran and Nigeria, inside the FIFA Fan Fest area on Copacabana beach, Rio de Janeiro, Brazil. 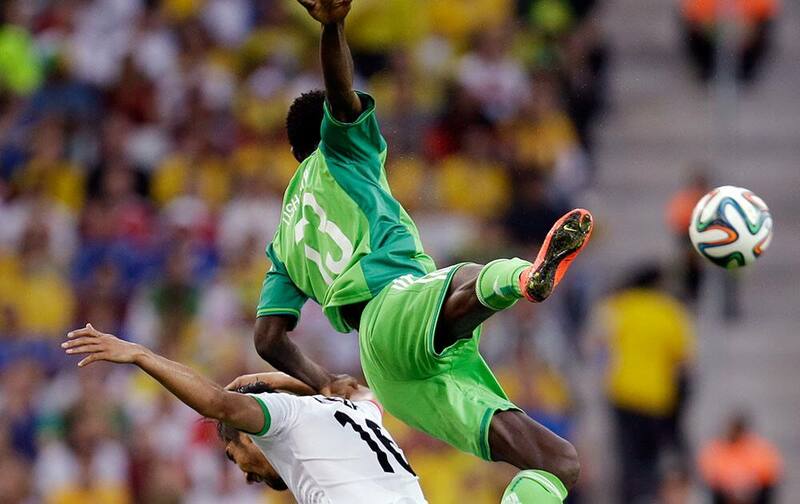 Nigeria's Juwon Oshaniwa, top, and Iran's Reza Ghoochannejhad battle for the ball during the group F World Cup soccer match between Iran and Nigeria at the Arena da Baixada in Curitiba, Brazil.